Japanese club Cerezo Osaka decided to invite a small macaque to take centre-stage during the pre-match ceremonies of their J-League match against Vissel Kobe on Sunday. 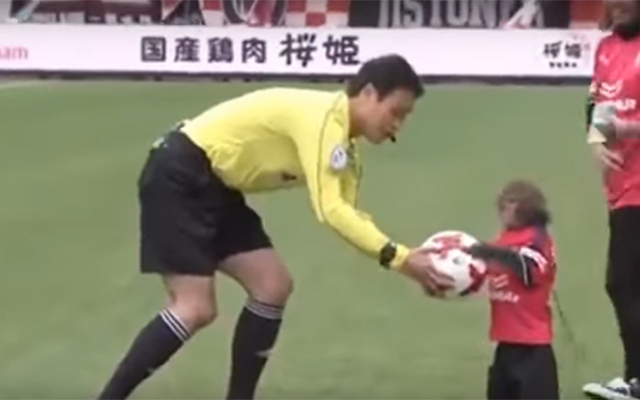 The game began in utterly baffling fashion when a macaque monkey, dressed in the brightly coloured Cerezo kit, was instructed to hand over the match ball to the referee prior to kick-off. The critter struggled at first to show off some silky skills before calmly picking up the ball and handing it over to referee Hiromu Kimura as the home supporters cheer. Once the pre-game formalities had ended, Cerezo went on to beat Vissel Kobe 3-1.